Dr. Katerina Gallus and Dr. Trent Douglas discuss recovery from tummy tuck surgery. Hi. I’m Dr. Katerina Gallus with Restore SD Plastic Surgery. Today I’m joined with my partner… Dr. Trent Douglas. We’re going to talk about recovering from abdominoplasty, or tummy tuck surgery. Planning your recovery from abdominoplasty is as important as choosing your surgery date. You are going to need some time to recover and you may or may not have drains after your surgery, which will require attention. For that first seven to ten days after surgery, you may need assistance, as you will not be able to do household chores or much of child care. Including picking up your kids. It takes a good four to six weeks to get back to your usual activities and we’ll help guide you back to your workout routine during the recovery process. You might have some residual swelling and tightness after surgery and that is assisted by the use of compression garments after surgery, which we also review and provide. As you’re enjoying your fabulous new figure after your tummy tuck, we’ll be there for you. 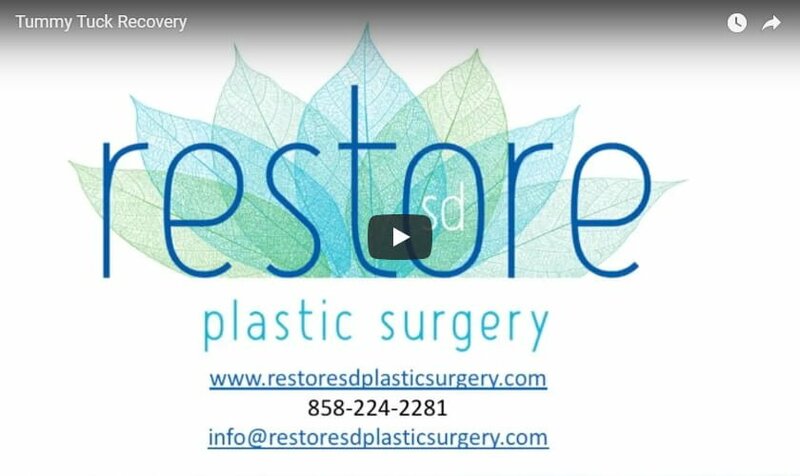 Come and see us at Restore SD Plastic Surgery.